I truly couldn't wait to take baby Davis' newborn photos!!! Ya see, his mama, Katie, contacted me about taking his newborn photos last summer when she first found out she was pregnant, even before she announced to everyone that she was pregnant! I was so tickled and honored that she already knew that she wanted me to photograph him in his first days at home! I have been so ready to meet their precious baby boy!!!! Katie and Adam are two of the sweetest people you'll ever meet! Katie is a realtor and is seriously killing it in the industry! She is selling houses like Starbucks sells coffee! She's amazing! 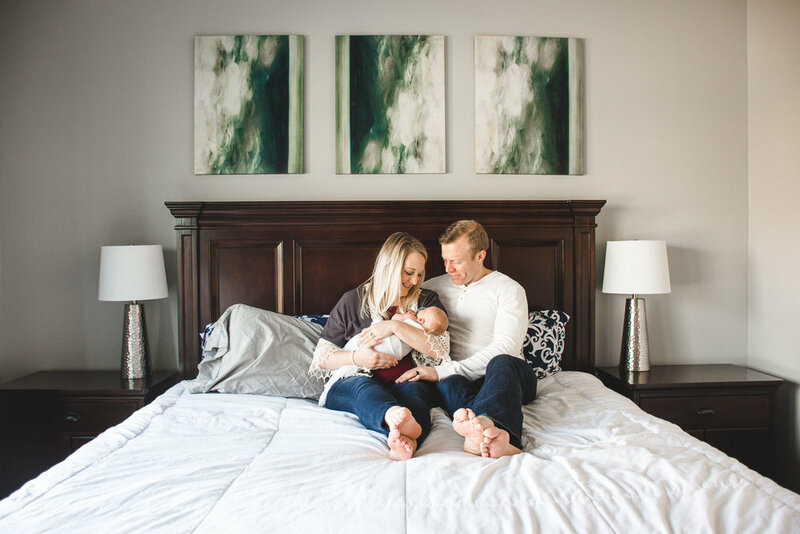 You can tell she knows what she's doing when it comes to staging a home too because their house is gorgeous and the nursery is AMAZING! When i walked into the nursery, I felt like i was walking into a world war ii museum - seriously, breathtaking. the walls are filled with artifacts from their relatives' time at war: discharge paperwork, b&w images of them at war, flags from their funerals, private's manual, the list goes on. as i read the dishcharge paperwork on the wall which described the the incredible feats that her grandfather accomplished while at war, i was moved to tears. And baby davis - oh my goodness.. what. a. doll!!!!!! he was so easy to photograph and was so relaxed the whole time i was there! and his adorable big brother, lawson, was soooooo good with his new baby brother! i was truly blown away how gentle and attentive he was to his little brother! 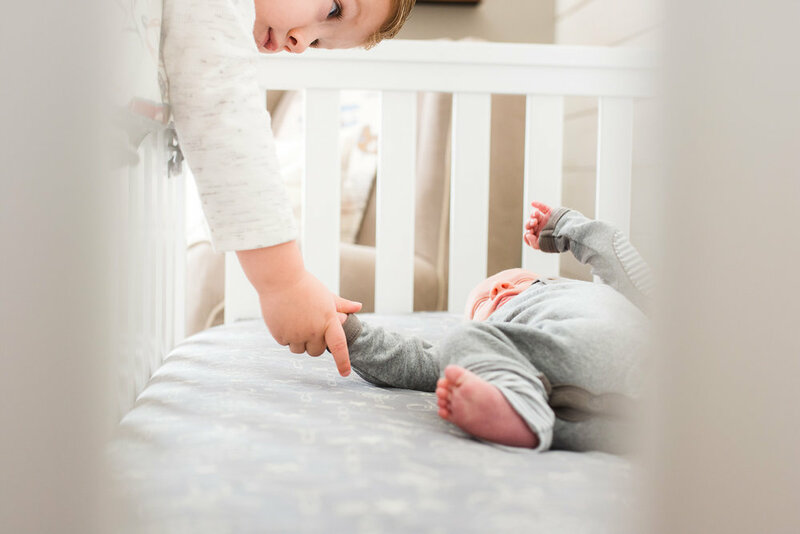 every time baby davis would make a little sound, lawson would run over and make sure he was okay. so so so sweet!!! i love love love sweet sibling love! Adam and Katie, thank you sooo much for having me over and for such a sweet morning with your beautiful family! i'm so honored you let me photograph your precious boys - i can't wait to see how their precious friendship grows and grows!! !